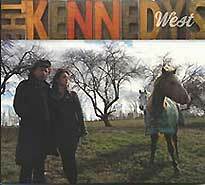 The overarching theme of the Kennedys’ splendid new album, West, is traveling along purposeful roads. The booklet illustration depicts a rural road–one lane going west, the other east, while the album’s cover shows the couple in a field after the leaves on the trees have gone; two horses–one looking left, the other gazing forward–breathe silently in sturdy thought as thick, white clouds float above. There appears to be a chill in the air, but warmth is likely on the horizon. 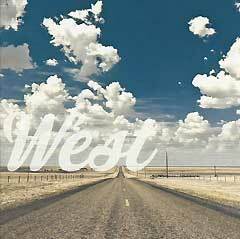 Some of the songs on West find their characters at a crossroads and offer blissful solutions. Painting with Buddy Holly and Roy Orbison brushstrokes in the enchanting “Locket,” the singer tells the tale of her broken heart, healed when love comes her way. “So put your hand into your pocket/You’ll find that I slipped you the key/It will open my heart if you give yours to me.” Dotted with Holly Easter eggs, this song is among the Kennedys’ best. Maura’s vocal is heavenly, painted with golden hues. “Perfect Love,” written especially for Pete and Maura by the Records’ John Wicks, is a lovely number that posits a union as blissful as two hearts might imagine to be possible. “Riding along together, playing for you and me/Theirs is the perfect two-part harmony,” the narrator sings. It’s a lovely sentiment, perfectly realized with a loving pen put to paper, a heartfelt poem set to a beautiful melody. Pete’s “Good, Better, Best,” written for Maura on the occasion of the couple’s twentieth anniversary, is about all-encompassing love saving the day . 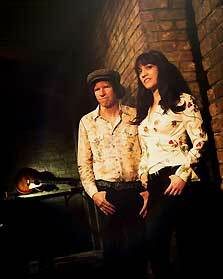 “When my way was dark and the road did wind/You came along and you showed me a sign,” the couple sings. “I’ve tried to tell you a thousand times/But I always seem to flub my lines/Life is good, better, best/’Cause I’ve loved you/’Cause I’ve loved you.” In other words: If you stumble and fall along the way, I’ll be there to pick you up. We’ll travel this journey together. West chronicles the journey, wherever it leads, in the most magical of ways; it is alive from first note to last and it is perhaps the Kennedys’ best work. West is alive, alive with the purpose of the journey, and it sings. West is a journey taken along purposeful roads; it is a journey worth taking again and again. 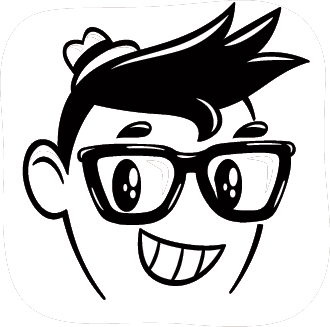 This entry was posted in Album Reviews and tagged alan haber, maura kennedy, pete kennedy, pure pop radio, review, streamlicensing, the kennedys, west. Bookmark the permalink.